Now, MNE is on the precipice of becoming cash flow positive in the coming weeks, from sales of its high grade, copper bearing ore.
It’s been a few years in the making and the share price has drifted over the past few months, however now may be the time for a re-rate as this company turns the cash flow corner, set to happen next month, September 2015. At the same time, just like all small minerals explorers, MNE is a speculative stock, and there are no guarantees. However once cash flow positive, MNE will be able to fund expansion plans and further exploration, which may lead to much bigger discoveries on their over 7,000 ha of consolidated ground. Exact timing of the cash flow positive milestone all depends on exactly how much ore is actually dug up and its average quality post-processing. Currently, MNE produces around 2,500 tonnes of copper ore each month at 3.53% Cu grade. What makes MNE such a good Catalyst Hunter prospect is its revenue and earnings performance despite not completing a Feasibility Study or obtaining a Maiden JORC Resource yet. All of that is still to come, but already MNE is generating around $250,000 per quarter. The ore MNE mines and sells is funding its own path to becoming a full-fledged miner with a Feasibility Study, JORC Resource and processing plant on the horizon. Read on for some more depth information about MNE and its near term revenue generating activities. MNE has rapidly achieved numerous goals over the past 2 years in Chile, culminating in the opening of three high grade copper mines at its flagship El Roble Project. MNE is continuing to raise overall production in order to pave the way for further exploration, site development, and building a processing plant in the medium-long term. Within the El Roble Project MNE operates the San Sebastian, Paraguay and Viuda mines, with San Sebastian currently generating the highest level of production. Beyond current production, MNE recently announced an exploration target for the San Sebastian mine of between 280,000-360,000 tonnes of ore with a Cu grade of 2.90% – 4.75%. This target is based upon only 400m of strike out of a mapped total of 6,000m, approximately 7%. This is strong indicator for MNE – as future production capacity is there for the taking. Having acquire its flagship El Roble project in 2013, under the stewardship of Zeff Reeves, MNE has blitzed its way through various numerous operational challenges and jurisdictional hurdles on its way to establishing a consistent rate of production totalling over 1000 tonnes of ore each month and heading towards the Company breakeven point of 2,500 tonnes per month. The El Roble project breaks even for MNE if it can process at least 1,700t per month while the company as a whole will become cash flow positive if it can process at least 2,500t per month. This is assuming MNE’s current copper grade can stay above 3% which is looking very likely given latest grades coming out of the mines. The key number to look for is the ‘Material delivered to processing facility’. In June, MNE produced 1,363t for processing but with production growing steadily, we expect MNE to reach its project breakeven and company cash flow milestones either in Q3 or Q4 2015. As soon as this happens, MNE will be making profit inclusive of all exploration and operational costs associated with operating three mines. 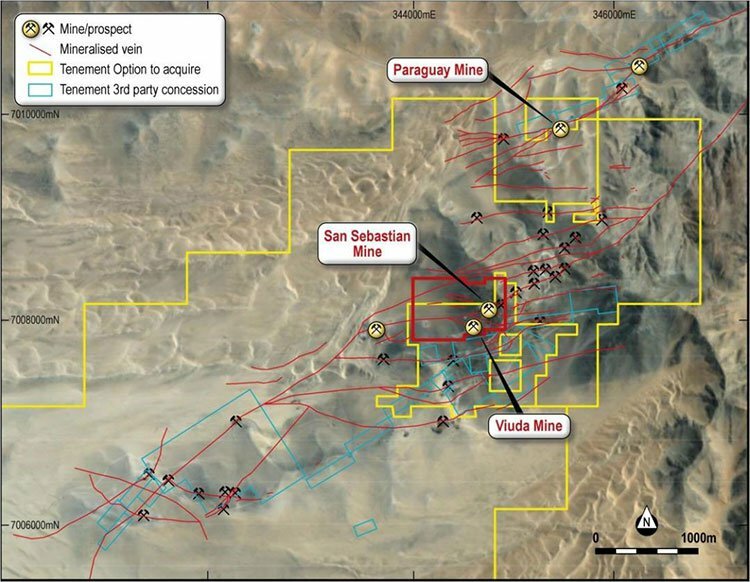 Having acquired the El Roble Project at the end of 2013, MNE has gone on to open 3 producing mines and have mapped over 60km of mineralised veins. 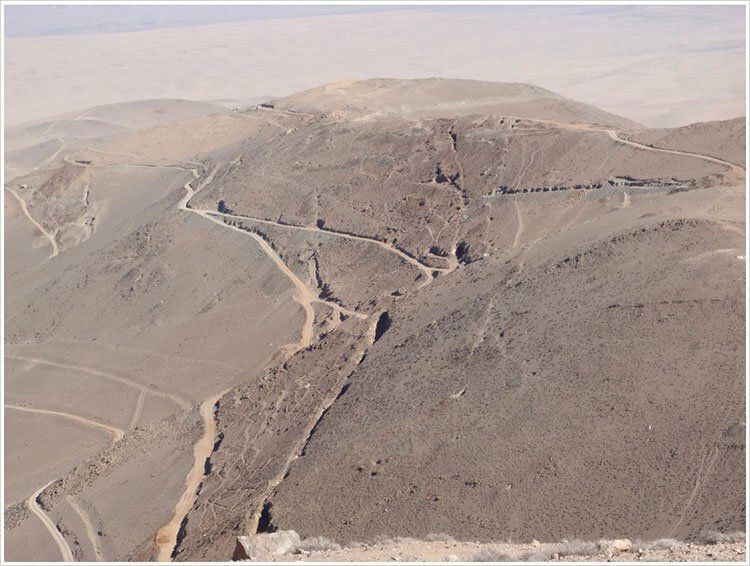 The project site is so good, high-grade copper veins are visible “over numbers of kilometres” according to Zeff Reeves. As you can see from the above image, there are copper/gold veins across the entirety of the El Roble Project which means future mining will not be a question of if high-grade copper and gold can be found. But rather, how much of it and at what grade. Furthermore, once MNE is able to define its resource and build or acquire its own processing plant, it will be able to begin commercialising its gold discoveries and fully maximise the revenue from its copper mining activities. In Chile, MNE obtains around 70% of the value from its copper sales and gets nothing for its gold. This is due to the fact that MNE must send its mined ore to a government-owned processing plant. As and when MNE builds or buys its own facility, MNE should see an immediate 30% improvement on its commercials with between 0.5g/t and 1g/t of gold to extract from the El Roble ore.
That’s a great future milestone to look forward to for this undervalued $3.6M-capped miner. However, do bear in mind that as with all small mining companies, there are always risks surrounding prospective outcomes – especially in a market currently going through a temporary down cycle such as copper. MNE’s business model entails almost no capital expenditure and very low operational expenditure because of two reasons. One, MNE is mining high grade ore and trucking it to a Chilean state-owned mill (operated by ENAMI) approximately 90 km away along established road networks. And two, the fact that operating in Chile is in itself a lot cheaper than Australia. This means MNE has not had to spend significant Capital at this stage and is operating on a very small scale in order to finance future exploration and a larger defined resource further down the track. This type of incremental approach suits the current temporarily depressed copper market and with some luck, as copper prices recover, MNE will be in a better position to scale up its existing operations. Putting it another way, if MNE has found a path to profitability in lacklustre market conditions, imagine MNE’s potential if and when market conditions improve? In this way we see longer term growth potential in MNE, beyond the imminent, cash flow positive catalyst. From an internal perspective, MNE is carrying zero debt on its balance sheet following a successful $1.5M capital raising earlier this year where MNE issued 250M new shares at $0.006 per share. With operational funding and all other overheads accounted for, MNE can now focus on raising production as much, and as quickly, as possible. Another aspect insulating MNE from headwinds in the copper market is state-owned ENAMI paying MNE an 11% subsidy of $0.30/lb if copper prices fall below $2.73/lb. Currently, copper prices are around $2.37/lb which equates to approximately $5,224/t. This is a positive aspect for MNE because it highlights the Chilean government’s supportive stance of small and medium sized miners – including foreign operators like MNE. Copper prices are at their lowest levels since 2009, primarily due to supply-side conditions. 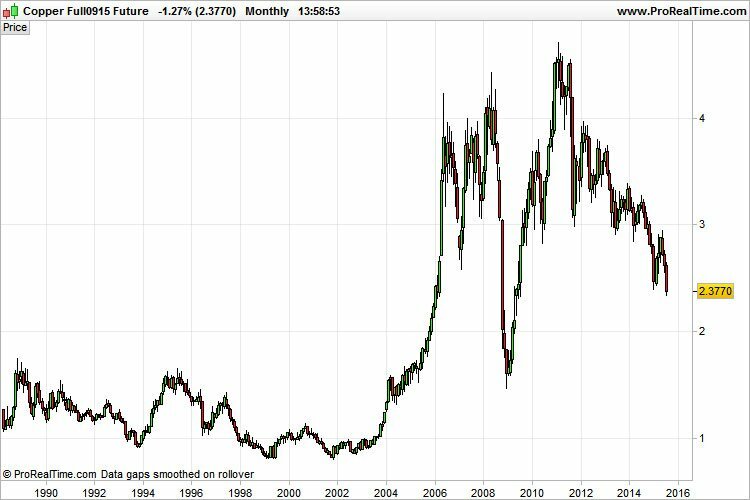 With mining being a very cyclical sector, now could be a good time to look for well-run, efficient copper miners with growth potential. So that if and when prices rise, the miners that best weathered the market lull are likely to hold the best potential for long-term profitability. Future copper demand is likely to remain firm and strengthen given copper’s bellwether status. Copper is a leading indicator because the metal is the most widely used on earth. Used in almost every aspect of modern life such as wiring, piping, machinery and electronics, copper demand is likely to remain resilient. Also with the current price very few new mines are being built and the grade at older established mines is falling, meaning there is very little new capacity to match this future demand. Not only that, but its likely future use is also looking rosy. New technologies coming to market such as electric cars , lithium batteries and renewable energy projects including wind turbines, all require significant amounts of copper. ...and allow well-run miners such as MNE to prosper after low prices have flushed out the weaker players. MNE’s position of being an operational miner (not just a prospective explorer) has been picked up by equity analysts across the mining sector. “Applying our conservative philosophy to Metallum’s forecast earnings and using a P/E ratio of 5.0x, we achieve a conservative forecast valuation of AUD 35.4 million for MNE. Our valuation suggests a 746% upside and we recommend buying Metallum shares with a short term target price of AUD 0.068”. Notice the profit and loss (P&L) forecast. MNE’s revenue is rising this year and forecast to continue going into year end. This is exactly the kind of indicator we like to see here at the Catalyst Hunter . However, nothing is guaranteed as all investors should know and the opinion of one market analyst is never gospel. With mine capacity and production growing and cash flow almost over the line into the black, MNE stands at the precipice of a significant revaluation. At the same time, this company is a speculative stock, and caution should be applied when considering as an investment. MNE’s growing revenue base even before its Resource has been defined or any Feasibility studies completed should hold the company in good stead and see its value rise as production increases. Based on this, MNE is significantly undervalued when considering its current share price of $0.004 and market cap of less than $4M. We are keenly anticipating MNE’s next Quarterly Report expected to be published sometime in October... it could show MNE surpassing its 2,500 tonne/month milestone and therefore confirm its commercial viability. The catalyst is now here – so happy hunting.